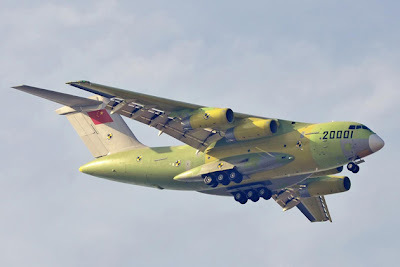 Chinese Y-20 first flight of the domestically developed heavy military air transport, on 26 January the local media has revealed further details of the project. 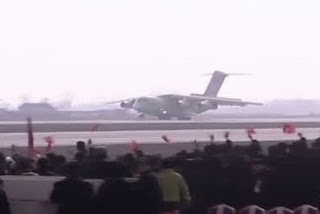 T development of a strategic airlifter is likely to enhance the Chinese People’s Liberation Army’s reach and could well also prove a powerful diplomatic tool. China Daily is Kunpeng, named after a legendary bird in Chinese mythology that can fly thousands of kilometres. 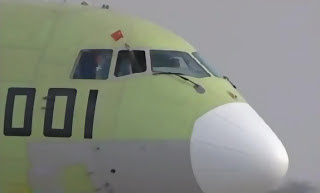 The aircraft is believed to have been developed by Xi’an Aircraft Industry, a subsidiary of Aviation Industry Corporation of China, the country’s major military aircraft manufacturer. 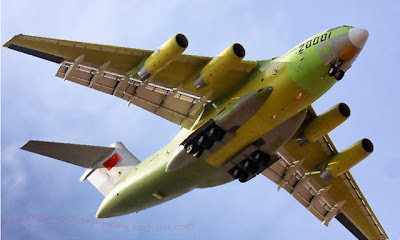 The Y-20 is expected to have a crew of three and a maximum payload of 66 metric tons and a maximum takeoff weight of more than 200 tons. The high payload means the aircraft should be capable of flying the heaviest of the PLA’s main battle tanks, the 58-ton Type-99A2. 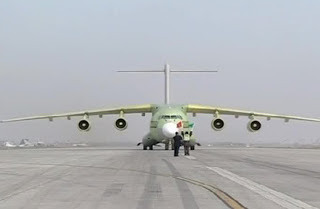 The aircraft is 47 metres and has a wingspan of 50 meteres.